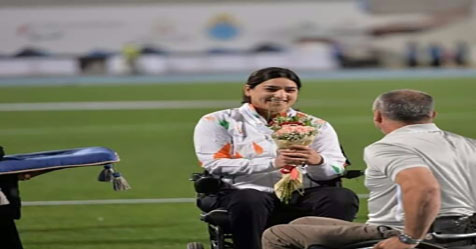 28-year-old Karamjyoti Dalal, a self-made para athlete represented India in women's discus throw competition at the 2016 Rio Paralympic Games. Karamjyoti, who hails from Haryana has taken up discus throwing only last year and has already won 5 medals in various categories. A former national level Kabaddi player, Dalal was paralysed waist downwards due to a fall from her terrace. She was completely bedridden for one year and diagnosed with paraplegia that took her some time to become completely mobile on her wheelchair.